A series of well designed RDTAs propelled Ijoy with the narrow circle of could chasers. 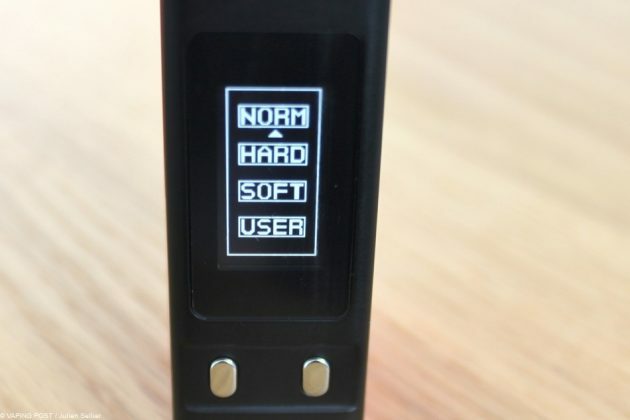 The Chinese company confirms this position with the RDTA Box, an all-in-one electronic box mod. 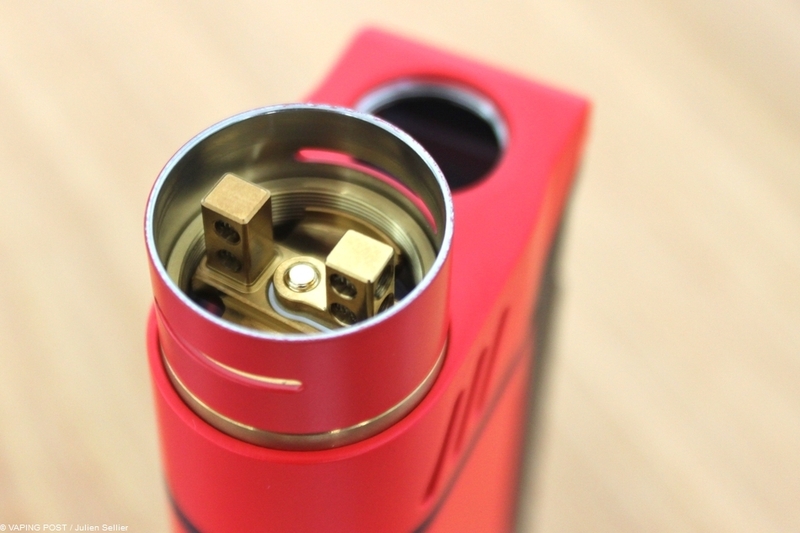 With an awesome design, Ijoy’s RDTA Box does not go unnoticed. 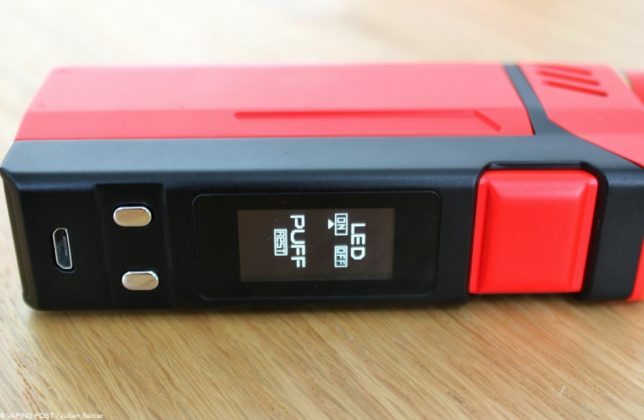 This dual battery all-in-one box has a maximum power of 225 W with the v2.1 firmware upgrade and has obviously not been thought for beginners. 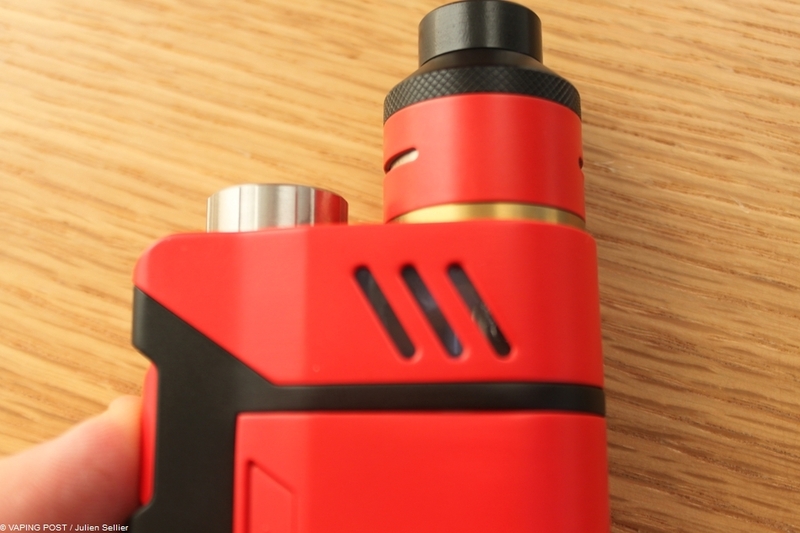 Ijoy’s target with the RDTA Box is an experimented public of big vapor lovers. 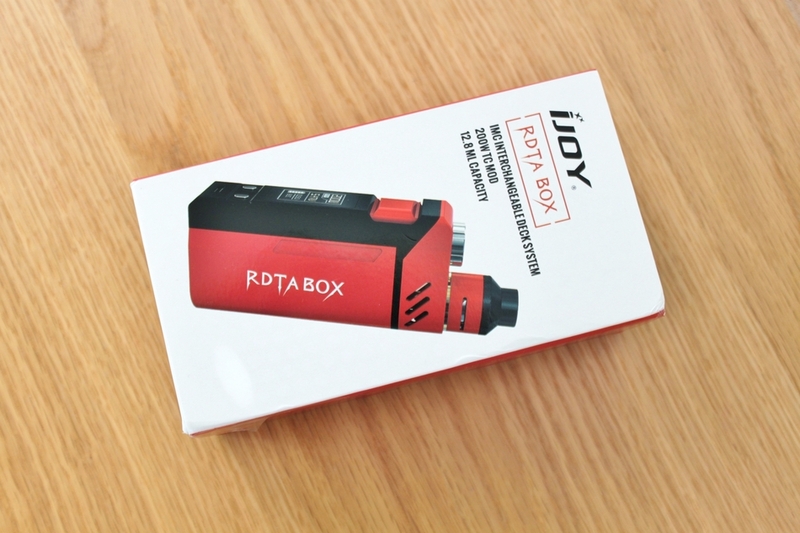 As usual, Ijoy is generous: The RDTA Box arrives with the IMC-3 base, a Mc-Coil triple-coil resistance, two fused Clapton resistance coils, screws, spare O-rings, USB cable (compliant with data transfer for firmware update), a plug, a user manual and a brush to clean the box. 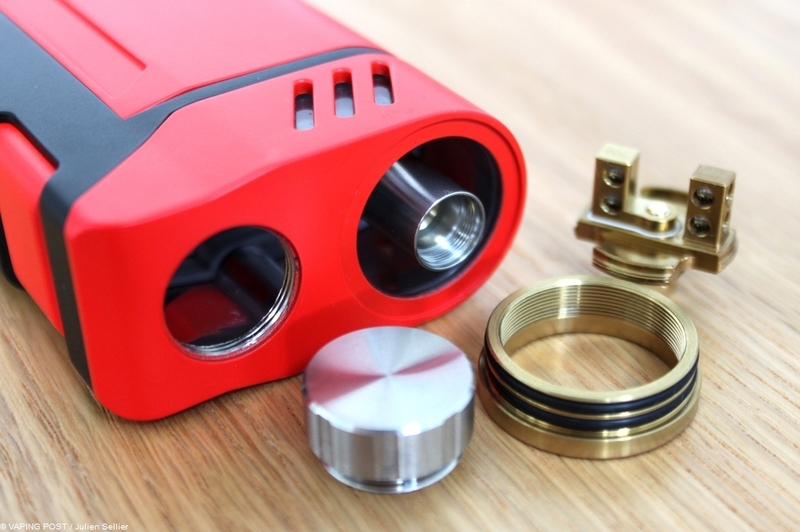 Its dimensions are 135 mm long, 28 mm width and 55 depth. 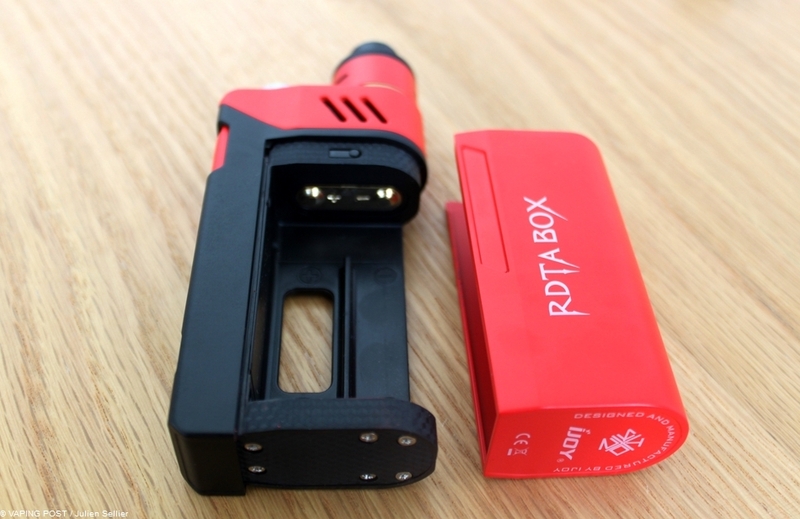 Far from being compact, the box is also red. 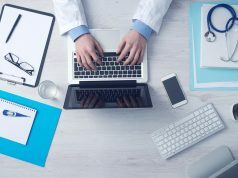 Do you really need discretion? This is not what it has been designed for. 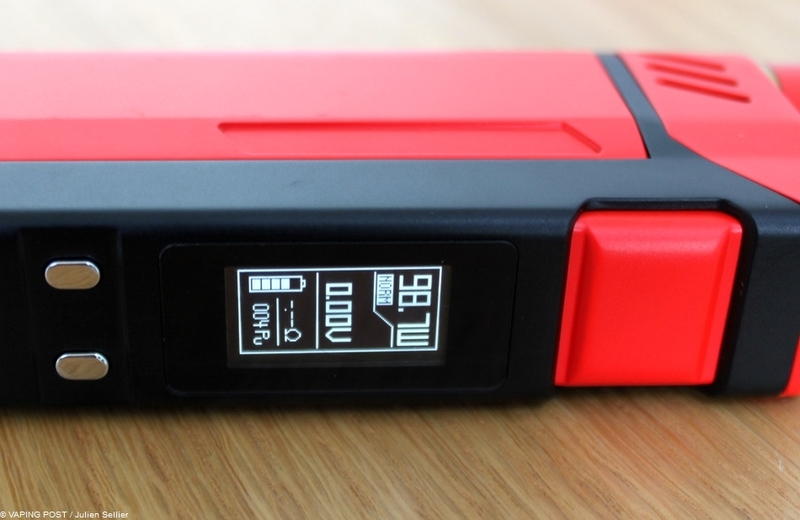 And it is also heavy with up to 337 g with the two batteries. However, its rounded sape makes its volume and weigh very acceptable. The RDTA is composed of a drip-tip in Delrin and a top cap. 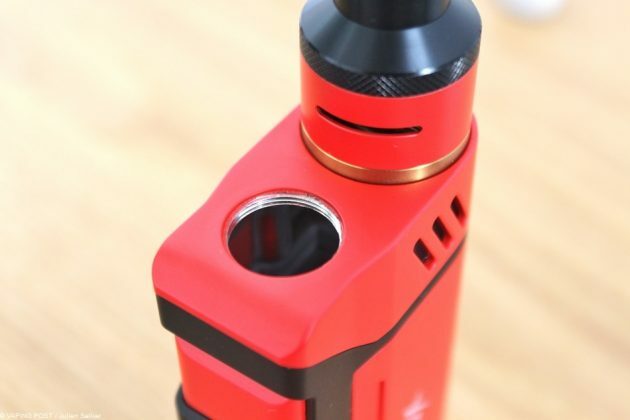 The two cyclopean airflow holes are very long (2 cm). The wide velocity-type base IMC-3 has two posts and 4 plugs to mount the coils easily. 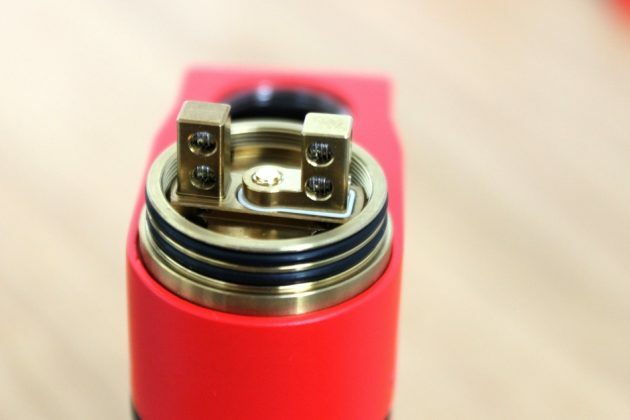 It can be unscrewed to adapt, instead, a three-coil MC-Coil resistance at 0.15 Ω (included) or the different bases of the RDTA combo. 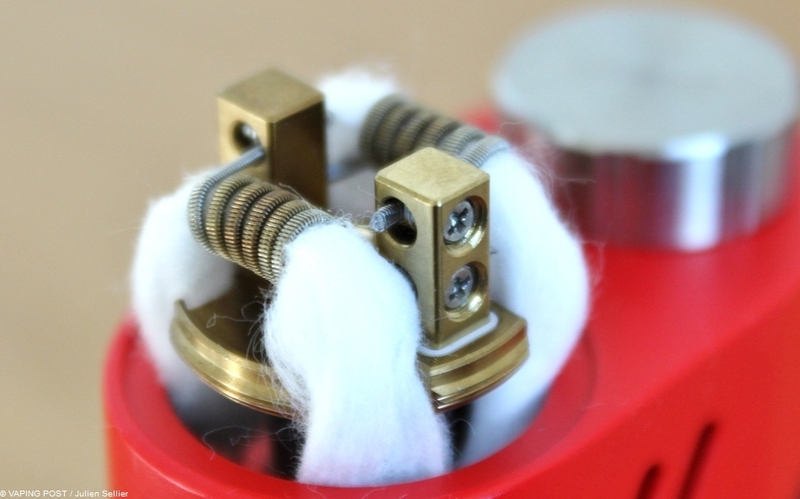 Wicking is easy, the wick needs to be cut to reach the bottom of the tank. 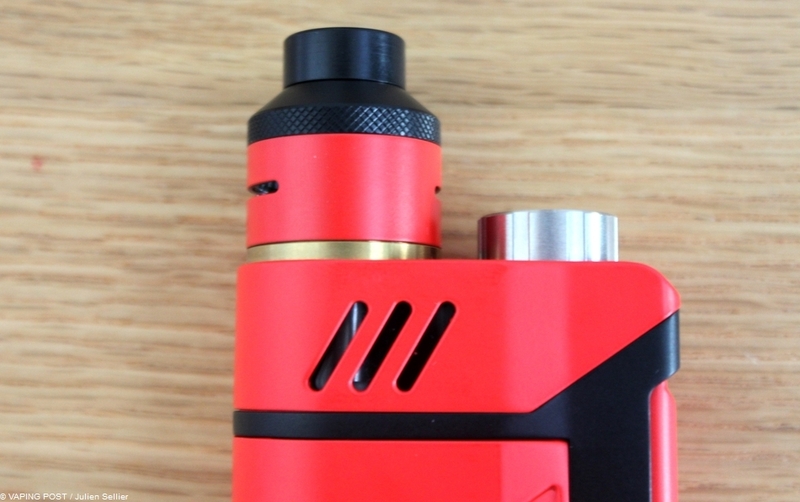 Underneath the base, there is a giant tank of 12.8 ml. 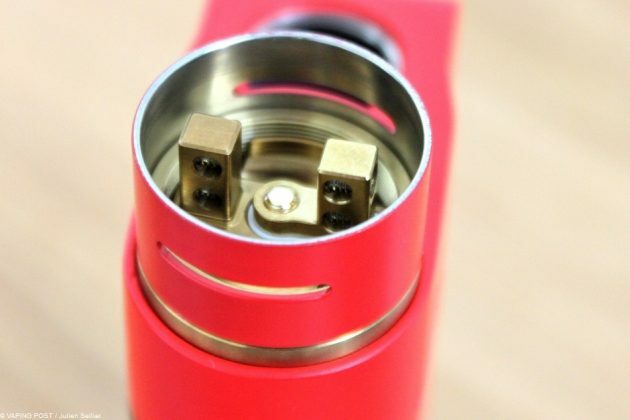 After removing the lid next to the RDTA, you can empty a complete bottle on juice in it. 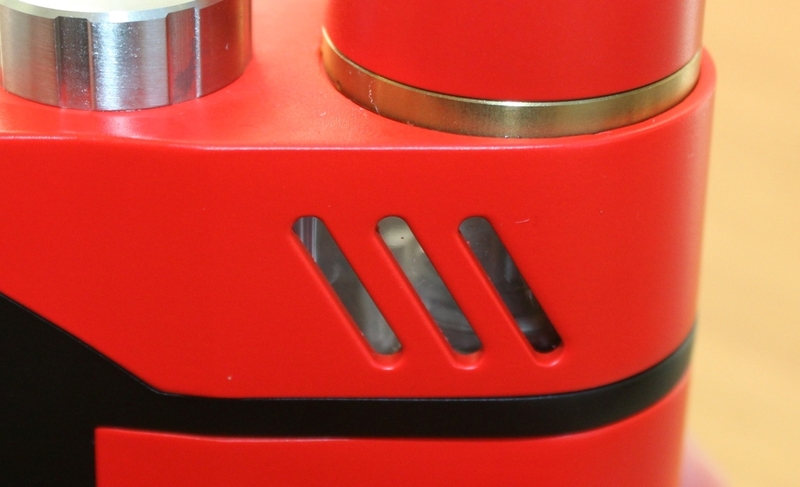 The operation is made even easy with the large inlet (16 mm). 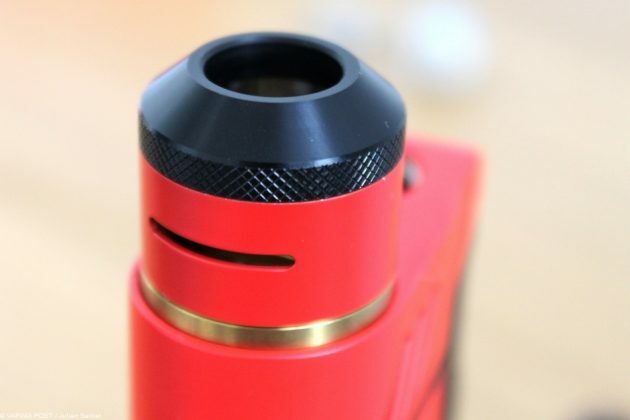 And if you don’t want to vape 12.8 ml of the same liquid, another solution is to feed the RDTA through the drip-tip that is also very wide. 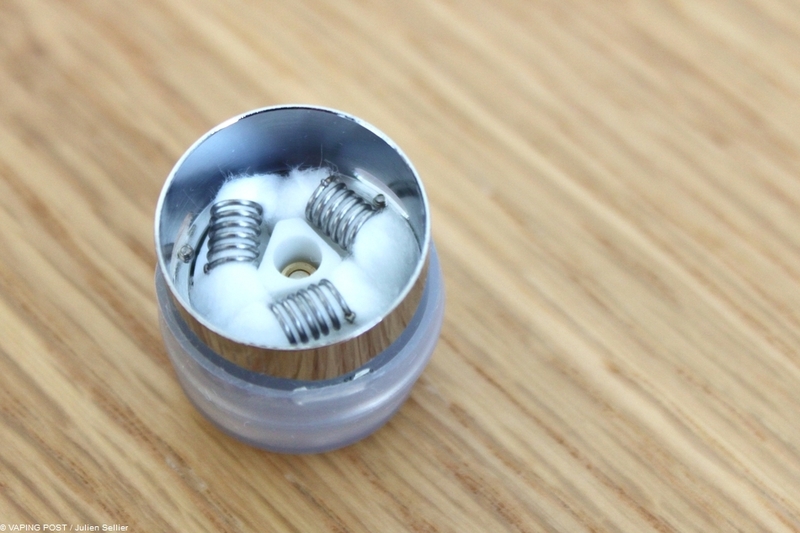 Capillarity is efficient. 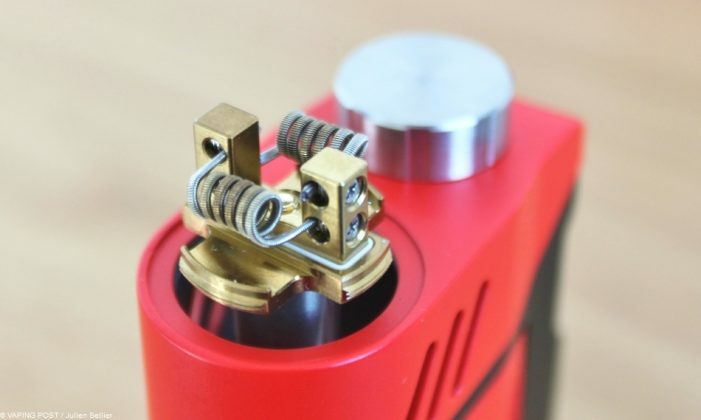 Since the box has been designed to press the Fire switch with the index, the rounded side in the palm of your hand, this position helps juice soaking the wick during each puff. 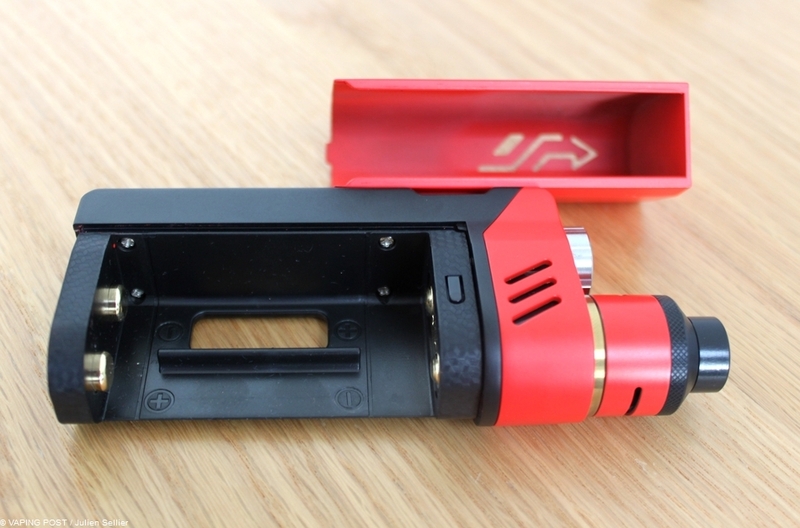 On the front, there’s an imposant square Fire switch free of any jingling. 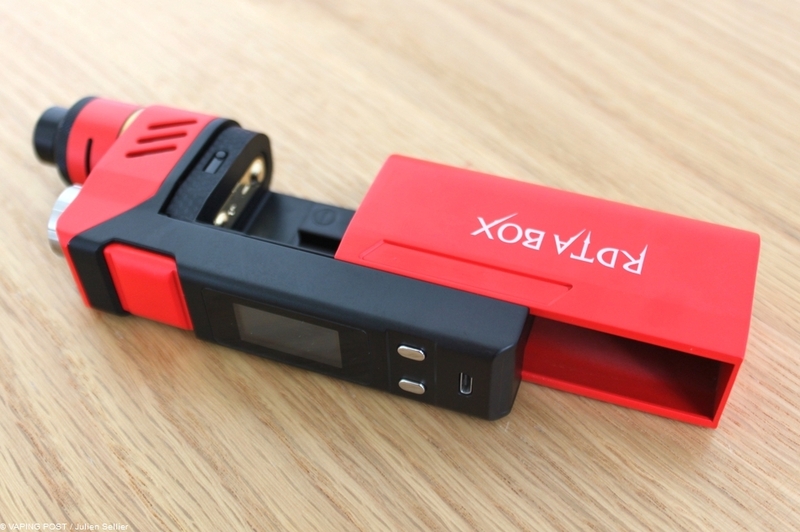 Underneath, are the “+” and “-” controls, the very readable Oled screen and a microUSB plug. 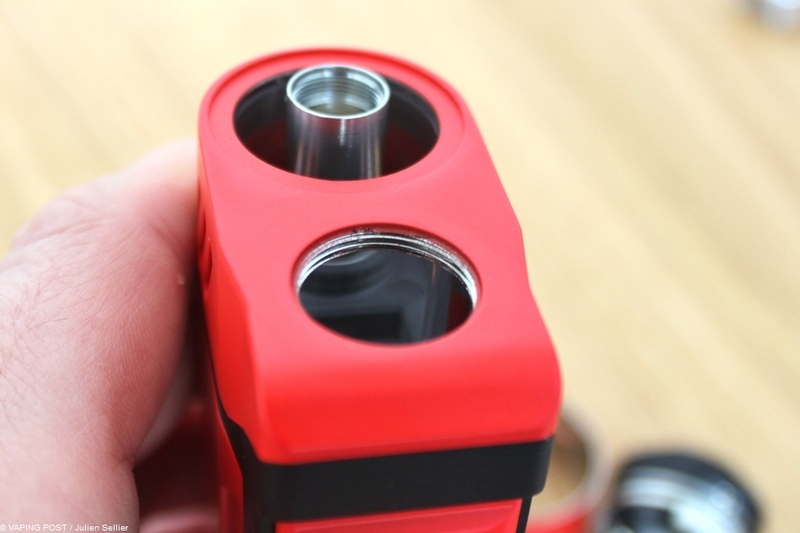 The two 18 650 batteries find their place inside the box by sliding the cap downwards. 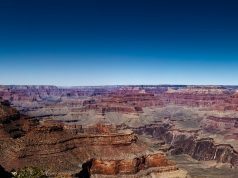 The polarity are indicated unambiguously. 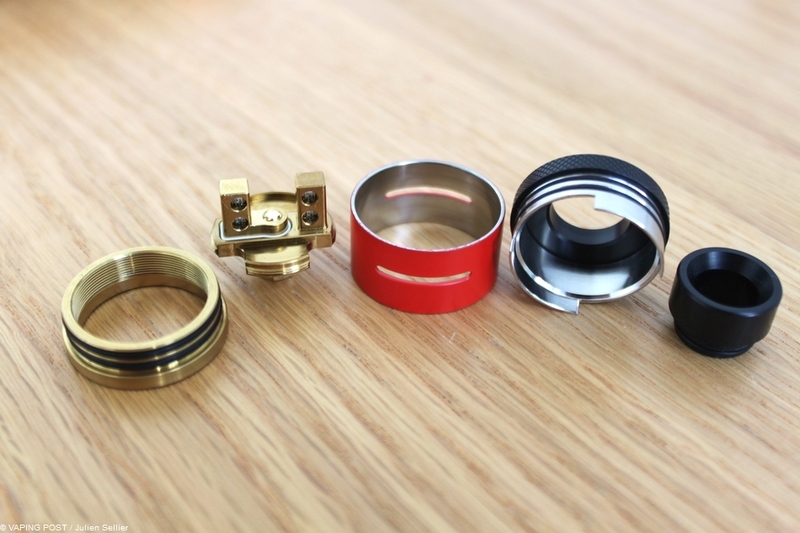 Locked, the cap is secured completely. The chipset is usable, navigating between the menus is very easy. It offers different vaping modes: Power, TC (SS, Ti and Ni) and TCR when v1.1 is loaded. 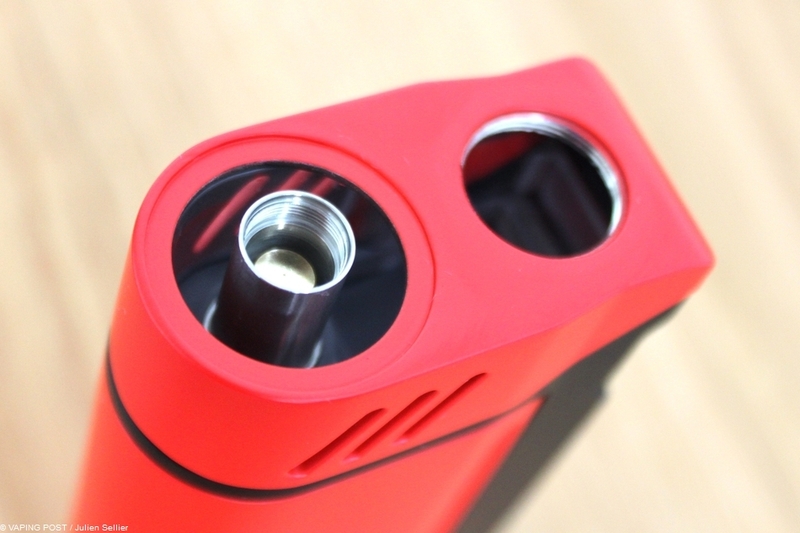 In the Power mode, the RDTA box has a pre-heat function that boosts the power over up to 3 seconds. 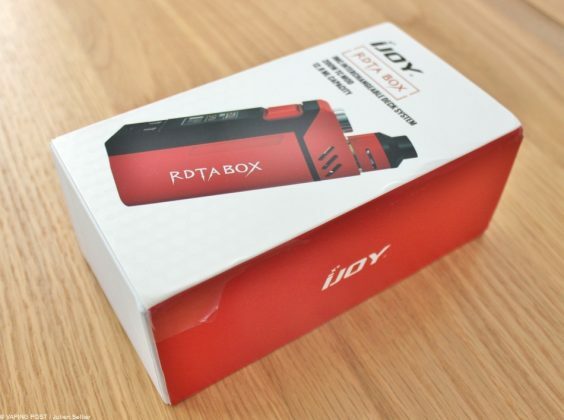 Ijoy’s RDTA Box is the a privileged choice for vapers who love power vaping. It has been elaborate to express its best at 70 W and beyond. 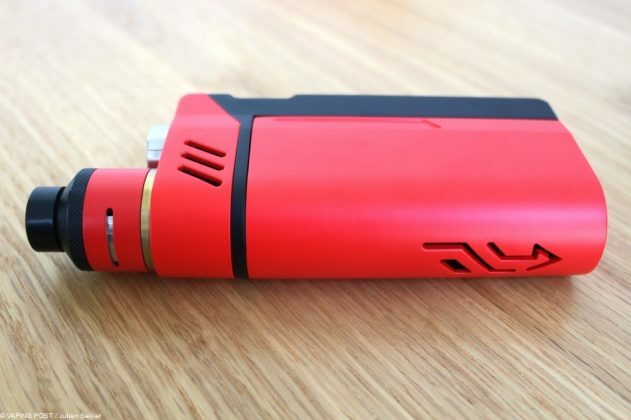 Like often, with Ijoy, everything has been thought rightly. 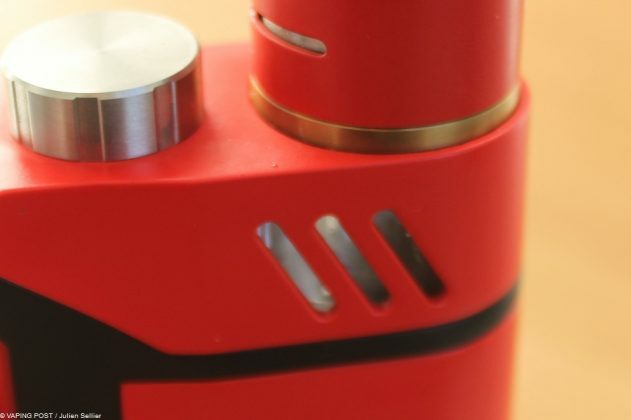 It is robust, well finished and easily identifiable thanks to a breakthrough design and the biggest tank ever built in. 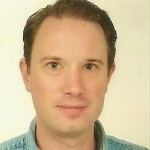 Rating of 4.5/5. 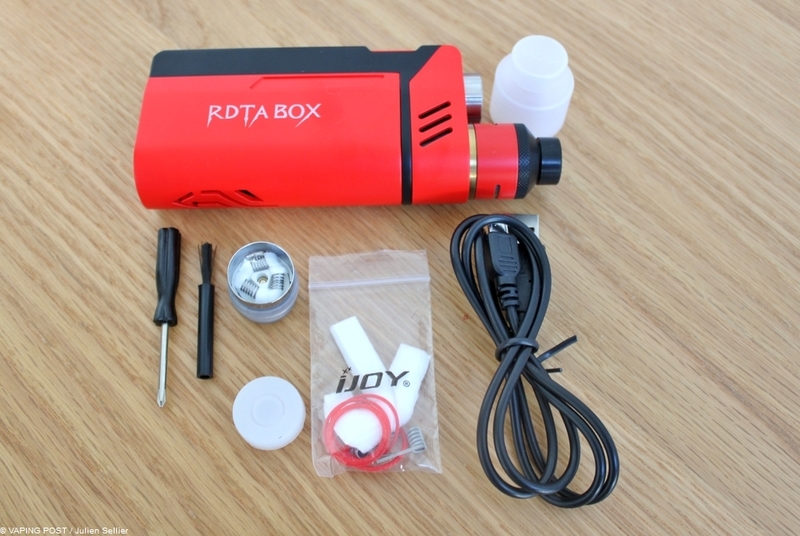 The RDTA Box is not the one for all vapers but a a powerful all-in-one for those who like big clouds. 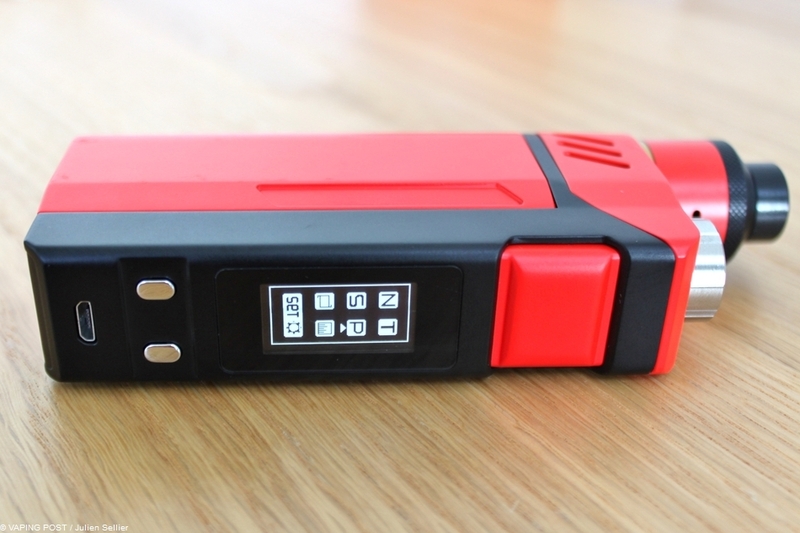 For a very reasonable price, it is robust, well thought and very well equipped with a performant chipset. 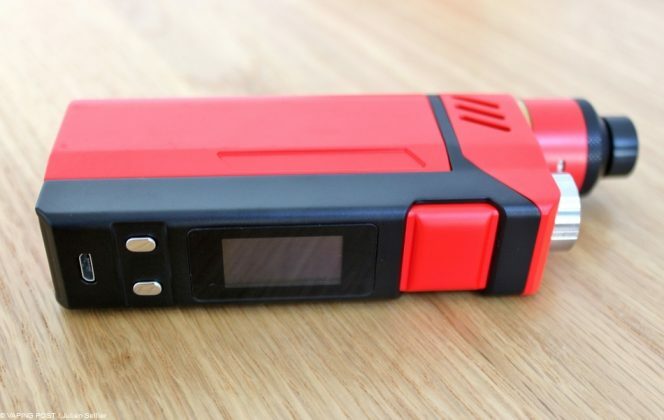 It sets vaping to a very good level. The volume of vapor produced is of course incredible but the taste is also very well restituted. 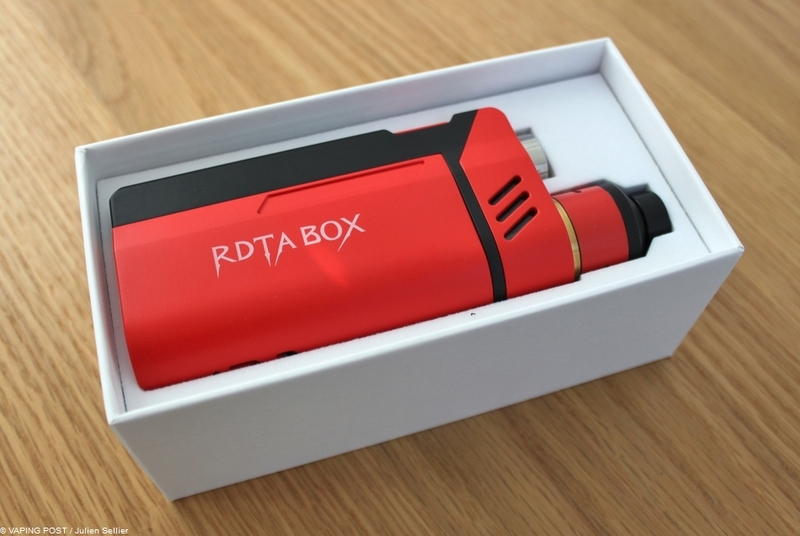 The RDTA Box is not the one for all vapers but a a powerful all-in-one for those who like big clouds. For a very reasonable price, it is robust, well thought and very well equipped with a performant chipset. It sets vaping to a very good level. 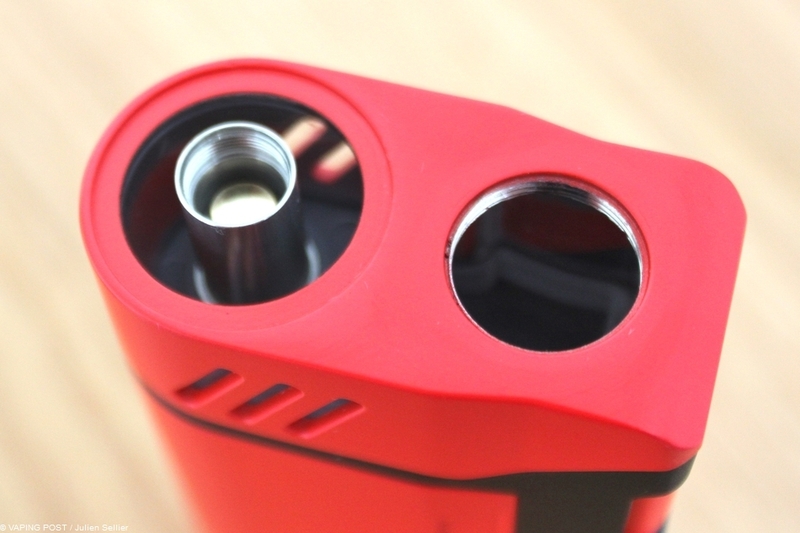 The volume of vapor produced is of course incredible but the taste is also very well restituted.